The day has finally arrived. At long last, we have reached the end... of the 1950s, thus concluding the brief prologue to this obscenely lengthy podcast journey. 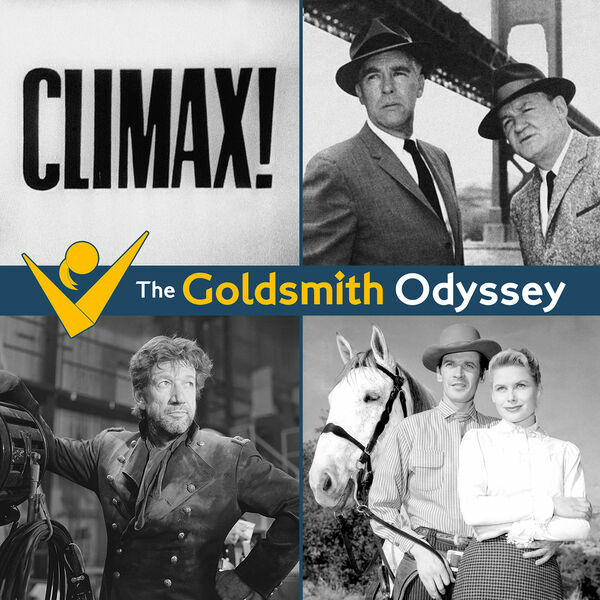 On this episode, your humble hosts Jens, Yavar, and Clark gather up odds n' ends from the decade: an exploration of the Climax! episode “Trail of Terror” (featuring a suspenseful Goldsmith score highlighted by a lovely, reflective melody), a MIDI reconstruction of Goldsmith's dynamic score for the Civil War-themed Playhouse 90 episode “The Tunnel,” two strikingly different (yet equally impressive) scores written for the '50s cop drama The Lineup, and multiple versions of Goldsmith's instantly catchy Black Saddle theme. Finally, we take a few moments to reflect on the highlights of the material we've covered thus far. It's a musical feast... but save room, because we'll be stuffing one more surprise into the mix. Take a seat and gobble it up!